Surf Air is a California-based commuter airline that offers unlimited flight service for a fixed monthly fee. The company uses Pilatus PC-12 aircraft and provides commuter services in California and Nevada, Texas, and Western Europe. 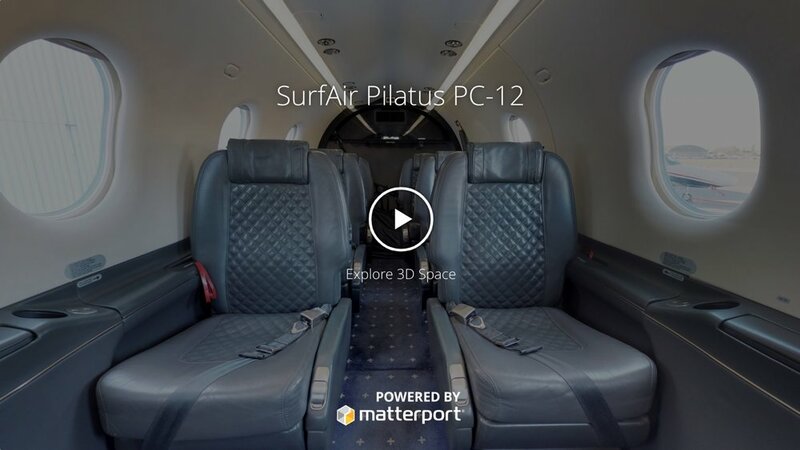 We partnered with SurfAir to create an immersive 3D model of their Pilatus PC-12 to allow visitors to interactively explore their aircrafts from any connected device. © 2019 Doozy Labs, LLC. All Rights Reserved.